Welcome to the Milton Keynes office of Begbies Traynor. Our experts are licensed insolvency practitioners exceptionally well-placed to provide guidance and support to companies considering how best to rescue or close down their operations. Julie Palmer leads the services offered from the Begbies Traynor office in Milton Keynes. 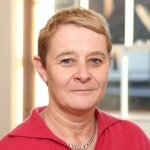 She has a huge wealth of highly relevant expertise and specialist knowledge as an insolvency practitioner and business rescue expert. Specialist advice can be provided by our team in Milton Keynes in the context of company administrations, liquidation, receivership and company voluntary arrangements (CVAs). We work with individual company directors and their management teams throughout the South East of England and we have an extensive network of offices across the UK. We understand how challenging it can be to lead a company which is faced with serious financial difficulties and the prospect of insolvency. Our goal is always to provide clear, concise and actionable guidance that is based on a comprehensive appreciation of the options available and the potential consequences in every instance. In Milton Keynes, as throughout the rest of the country, we approach each and every situation with a sense of purpose and an understanding that no two business rescue or insolvency scenarios are exactly alike. Our advice is always tailored to the individual circumstances and needs of the companies involved and their directors. If you need any form of support in assessing your options with regard to insolvency, administration, liquidation or business restructuring, you can contact our experts based in Milton Keynes directly. We will be happy to help and also have offices in Northampton, Cambridge, Oxford, London and Birmingham.